These cheesy bean and sweetcorn nachos are the perfect combination of crunchy and creamy, a mountain of bubbling cheese, crisp sweetcorn and mixed beans, piled high on top of crunchy chips. 1. Preheat the oven to 180ºC (160ºC for fan assisted ovens), gas mark 4. Line a large baking sheet with baking paper. 2. Heat the oil in a large non-stick frying pan over a medium heat. Add the red pepper and fry for 5 minutes until softened. Stir in the mixed beans, sweetcorn and 1 sachet of the nacho topping (from the kit). Simmer for 3-4 minutes. 3. Spread a layer of the nacho chips in the baking sheet then spoon over some of the bean mixture, chopped jalapeños and grated cheese. Repeat the layers another 2 times, reserving some of the grated cheese for the top. 4. 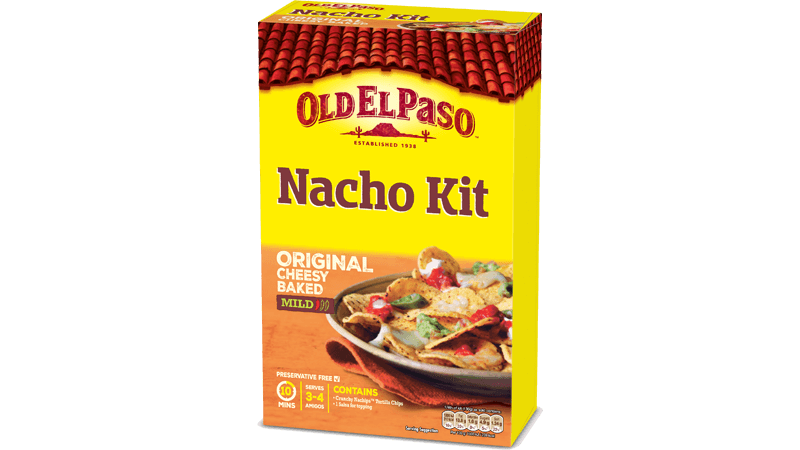 Pour over the second sachet of nacho topping and scatter over the rest of the cheese. Bake for 10-15 minutes until the cheese has melted and is bubbling. 5. Serve with soured cream, guacamole and garnished with chopped coriander. • If mixed beans are unavailable just use kidney beans or try a tin of chick peas instead. 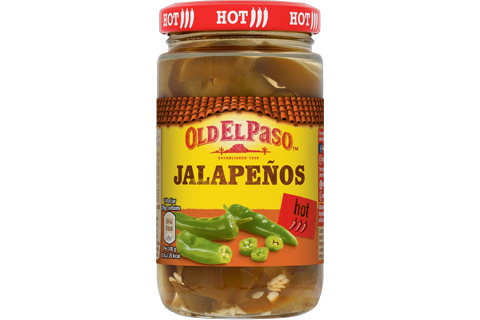 • For more heat, replace the green jalapeños with red ones.